Sometimes, in the privacy of my room, I even imagined that I WAS a horse. It’s true! I would get down on all fours, pretend to munch hay, and would kick my legs backwards into the air, neighing loudly for effect. My parents never had to ask me what I wanted for my birthday or Christmas. They always got the same response. I begged them to buy me my own Black Beauty every chance I got. So you can imagine the utter elation I felt when an opportunity to take horseback riding lessons was presented by the area 4-H chapter. The cost would be minimal and they would provide the animal, equipment, and instruction. I just had to show up and join their club. We did have to drive a ways to get back and forth to the lessons, but my mom was willing to make the sacrifice if it would quench my insatiable appetite for everything equine. My first lesson was held at the county fair grounds. Mom and I made our way to the well-worn barn that housed the animals, and I was introduced to a massive bronze quarter horse with a striking white blaze that ran from the top of his forehead down to his velvety gray nose. This gentle giant’s name was Blast and he was going to be my ride for the summer. I think my mom and I were both a little shell-shocked by the sheer size of the gelding. He was a humongous horse and I was a very petite young lady. To add to my sudden tentativeness, was the fact that while I knew a lot of information about “my favorite animal in the entire world,” I didn’t have much experience with the real thing. Sensing our nervousness, the instructor assured us that Blast was a well-trained animal and was perfectly safe to ride. She proceeded to begin the first lesson with the simple task of helping me get acquainted with my new farmyard friend. I pet Blast’s nose and muscular neck while I learned the importance of talking to him in a soothing voice so that he would become familiar with me. Next, it was time for me to practice mounting the behemoth. I could barely reach the saddle horn with my small hands, and I had to strain my leg to get it up into the stirrup. I tried hopping on the foot that was still planted on the ground, but eventually needed help to get the momentum required to swing my leg up and over the saddle. And then the moment I had dreamed about so many times became a reality: I was actually sitting in the saddle and was going to ride a horse! My teacher gave me a quick tutorial on how to steer by gently pulling on the reigns in the direction I wanted to go, and then pressing into the horse with the opposite leg. “Why don’t you ride Blast over to the corral. Just give him a little kick with your feet.” My riding instructor said confidently. Really? I wasn’t too sure about this. We were on the edge of an open field, at least 30 feet away from the gate that opened into the fenced in practice area. I think everyone, including the horse, could sense my hesitation, but I did what I was told. I extended my skinny little legs and gave Blast a gentle nudge with my heals. “You’ve got to kick him harder,” my teacher said firmly. Determined, I stretched my legs out as far as I could and then solidly jabbed him in the sides. To my utter shock and dismay, Blast took off like a rocket launched into space. He tore past the practice corral and galloped full speed into the open field beyond. He seemed to be relishing in the freedom of taking his inexperienced young jockey for a ride. Meanwhile, I held on for dear life, tears streaming down my face, hoping and praying this wild ride would end quickly, and with me all in one piece! I can’t remember if someone came riding out after us, or if Blast just ran out of steam. But eventually his breakneck gallop slowed to a jerky trot and somehow we made it back to the barn where we had started. All the romantic notions I had harbored in my mind about horseback riding were destroyed during that frenzied 10 minute trek. Sniffling back the tears, I slid out of the saddle to the dusty ground below and declared to everyone within ear shot that I would NEVER ride a horse again! My instructor apologized profusely for the unexpected “joyride,” but once it was obvious that I was okay, she declared that I had to get back up on the horse again. My mother, although sympathetic to my new-found fears, reluctantly nodded her agreement with the instructor. With a little coaxing, I did get back in the saddle, and by the end of the summer could ride well enough to compete in the horse show at the county fair. I even developed a love of galloping on horseback. I’m so glad that I didn’t let one bad moment ruin this amazing childhood adventure. Over the years I have had many life adventures and many opportunities where I have needed to make a conscious decision to “get into the saddle and ride.” These experiences, all appealing on the front end, have also usually felt a little risky. Because as excited as I might be about the journey ahead, I could never be completely sure of the kind of ride that might follow. Some of my adventures include going to college and seminary, getting married, having children, pursuing a job in ministry, and even choosing to stay home with my kids. The most profound journey I’ve ever embarked on, of course, has been the decision to follow Jesus Christ. AND IT HAS BEEN AN AMAZING AND OFTEN UNPREDICTABLE RIDE! Writing has become a new passion for me and it is something that I feel that God is encouraging me to pursue more intentionally. However, writing is also a relatively new endeavor for me. I didn’t go to school to be a writer, and aside from the general English classes that were required in college, I have had no formal training. A part of me wonders if it will just be a dead-end effort. Like the very first time I was in a horse’s saddle and I couldn’t even get the animal to move. But then there’s the anticipation of what could be an unexpected and exhilarating gallop through the field. It might be a little terrifying at first, but with a little practice, could develop into a genuine love affair. The adventure beckons. I’m ready to get back in the saddle again! Will you help me on my newest journey? I have entered a local writing contest put on by myfaithradio.com. The winners of the competition get an opportunity to meet with an acquisition editor from Bethany House/Baker Publishing Group. To be one of the finalists, I NEED YOUR VOTE! If you have enjoyed what you just read, please follow the link below, so you can read my submitted article and vote! Thank you for your support! 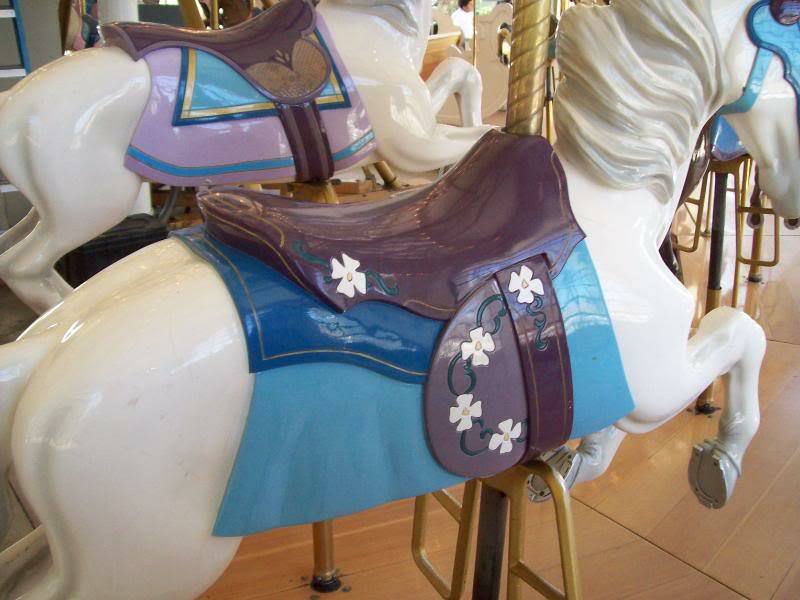 And don’t forget to saddle up for your own “next” adventure! I would love to hear all about it. I remember Blast well. He was a beautiful horse and you did learn to ride. I always really enjoy your writing Christy. You are very engaging. I could picture this massive horse named Blast, which bolted with you on it. Your analogy which led to this new life adventure is really amazing. Wow, 12th place is excellent, but sorry you didn’t quite advance. Hopeful it got you some more exposure as well. No obligation whatsoever to pay forward. Thanks for the shout out Carl. You have always been so supportive and I sincerely appreciate it. Our summer has been good, but crazy busy which is why I haven’t written much of anything recently. Guess I need to re-read my last post for motivation! 🙂 Blessings to you my Canadian friend. Wow. Awesome write up. I was caught up in the riding story. Thank God for your courage of mounting again at least now you can look back with a smile.